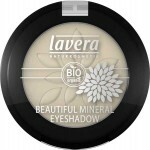 All Lavera products are certified 100% natural and contain certified organic ingredients. Products are also cruelty free, paraben free and lead-free. The Trend Sensitive Organic Cosmetic line includes Eye and Lip products, Foundations and Powders.